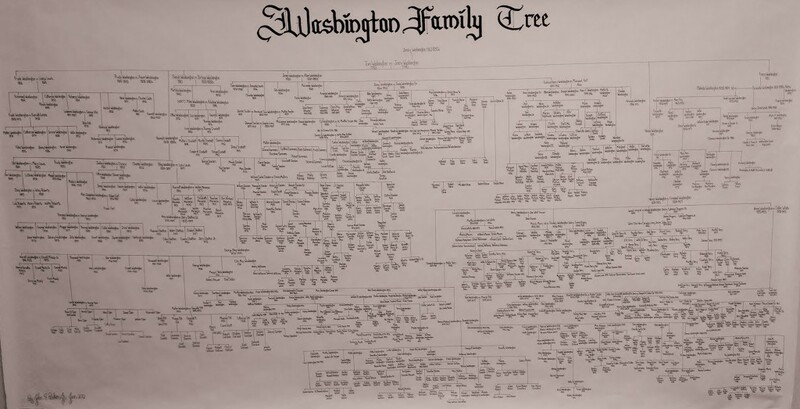 One of the items on display at the Tennessee State Museum exhibit Slaves and Slaveholders of Wessyngton Plantation will be a family tree of an enslaved family. The tree spans eleven generations from 1760 to 2012 and includes more than 1,000 direct descendants. In 1814, Wessyngton’s founder Joseph Washington (1770-1848) purchased six slaves from James Thompson: Tom born 1783, his wife Jenny born 1785, their four children Frank born 1806, Hannah born 1808, Sarah born 1810 and Henny born 1814. This was the first nuclear family Washington purchased. Washington later purchased Jenny’s mother, also named Jenny, born in 1760. By the Civil War, this was one of the largest families on Wessyngton Plantation. Many of their descendants still remain in the area. Hundreds of other descendants are spread throughout the United States.